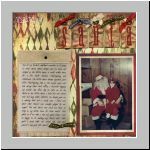 This christmas scrapbooking gallery will definetely inspire you to create great scrapbook for your Christmas photographs, that your family will cherish for ages to come. 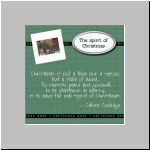 Since Christmas day often seems to come and go very quickly, and with it, the spirit of the Christmas season can easily be lost in the process of the the journey back home, returning gifts and cleaning up. Family Layouts, Birthday scrapbooking Layouts etc. Return from Christmas Scrapbooking Gallery to Scrapbooking Ideas Layouts Gallery Home Page.